Could the American team be the surprise package behind Formula 1's 'big three'? 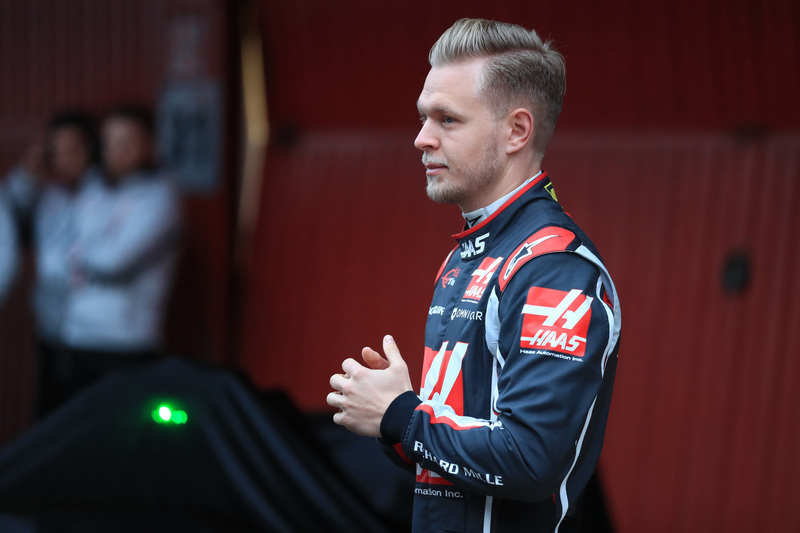 A run by Haas driver Kevin Magnussen to second on the penultimate day of Formula 1 winter testing has paddock insiders wondering if Haas may be 2018's early surprise package. 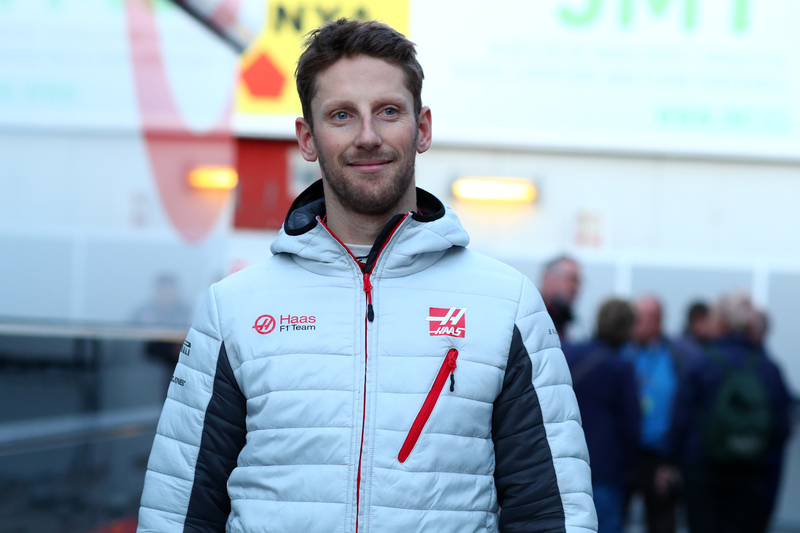 Another strong showing by his teammate Romain Grosjean on Friday's final day of pre-season testing further supports that rumor, showing what the relatively new outfit has to offer this year. Haas is heading into its third season in Formula 1, having finished eighth in its freshman and sophomore years, but is tipped by Sky Sports F1 as "the potential dark horse for 2018's early rounds." The authoritative German publication Auto, Motor und Sport, meanwhile, goes so far as to rank Haas as the fourth best team, behind Formula 1's holy trinity of Mercedes, Red Bull, and Ferrari—in that order. Haas driver Kevin Magnussen.Getty Images. Haas driver Romain Grosjean.Getty Images. "The American Ferrari is the secret", the German publication writes, referring to Haas' close but not uncontroversial technical relationship with the Italian team. Haas has taken outsourcing to a new level in modern Formula 1 by having its chassis developed by famed constructor Dallara and buying as many components "off the rack" from Ferrari. Haas also uses Ferrari's Maranello wind tunnel but assembles its cars at its own "forward operating base" in Banbury, Britain, although it does run its own CFD (computational fluid dynamics simulations) development program at its U.S. base in Kannapolis, North Carolina. The result is the VF-18, a car which has both jokingly and perhaps a little wryly been called "The White Ferrari" due to its similarities to Ferrari's 2017 challenger. After a fairly unassuming start to winter testing with its new charger, Haas leaped to the front and to the fore when Magnussen—the team's hard-charging Danish driver—finished Thursday second only to Ferrari's record-breaking Sebastian Vettel. Teammate Grosjean subsequently claimed fifth on the final day of testing. Intriguingly, Magnussen and Grosjean ran their fastest laps on harder (and thus slower) tires than the drivers around them. The Haas VF-18 has been nicknamed "The White Ferrari." Although lap times are said to be largely irrelevant in testing due to different fuel loads, engine modes, and run plans, the majority of teams do run qualifying simulations. In fact, a rival team told the BBC Haas' times were "genuine fourth-fastest overall times." Team principal Günther Steiner for his part told Auto, Motor und Sport their estimation of Haas as the fourth-ranked team was "a bit optimistic" and credited its strong performance to a good understanding of the Pirelli tires around the Circuit de Barcelona-Catalunya. Perhaps just as important, however, was his remark to Sky Sports that the team has a better handle on the brake and balance issues that have plagued it in its first few years. With "it's just testing" any team's go-to cliché during winter testing, downplaying expectations sometimes is the best indicator of quiet confidence. It remains to be seen if Haas can really spring a surprise once Formula 1 goes down under for the 2018 season opener on Sunday, March 25, but as Steiner told Formula1.com: "We'll just find out in Australia." The Dane has become known for his aggressive driving style, and it looks like we'll see more of the same this season. Formula 1 just ain't the same.